BLAST OF EXCITEMENT!! This slide is a great addition to anyone's in-ground pool! The Splash Down Slide offers kids a continuous flow of energetic, lively fun and water excitement. Water-filled ballast with tie down connections and ropes that sits on deck and keeps the slide securely set in place. 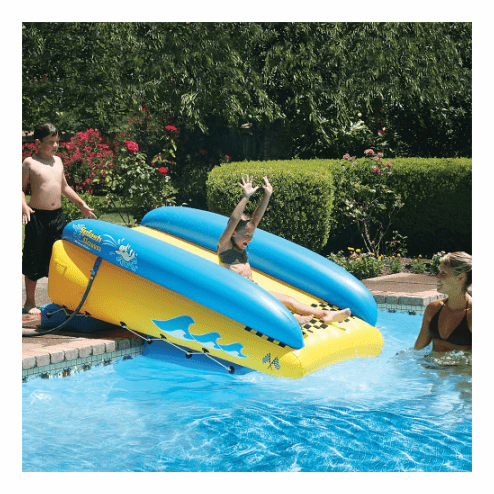 Air-filled water float with tie down connections and ropes to keep the slide floating over the water and away from the pool edge.